Welcome to episode 45 of Shoot Edit Chat Repeat, the podcast for people photographers. Hosted by two leading UK photographers, Vicki Knights & Eddie Judd. This is our last episode of series 4 and we're going out with a bang! Don't worry, we'll be back in May with series 5, so not long to wait. This week we are chatting with UK high-end wedding & boudoir photographer, Kate Hopewell-Smith. Kate started her business in 2010 and since then has seen much success, winning awards, writing a column for a photography magazine, becoming a Nikon ambassador, setting up a training company and most recently switching to Sony and becoming a Sony Europe Imaging Ambassador. She now runs her businesses with her husband Brent and they also offer destination weddings, cinematography and training together. We have a really interesting chat with Kate about how it's so essential for you to embrace change when you run your own business. We hear about the more difficult times in her business and what she's done to get through those. We have a really interesting conversation about pricing and why your website is one of your best marketing tools. Kate gives some brilliant tips and we think you'll find it really useful, enjoy! See Kate's website here See the Training by Lumiere website and find out more about the Sony experience days ​​Thank you to Folio Albums for sponsoring this episode. Use the code ‘shootedit’ to get 40% off a studio sample album. 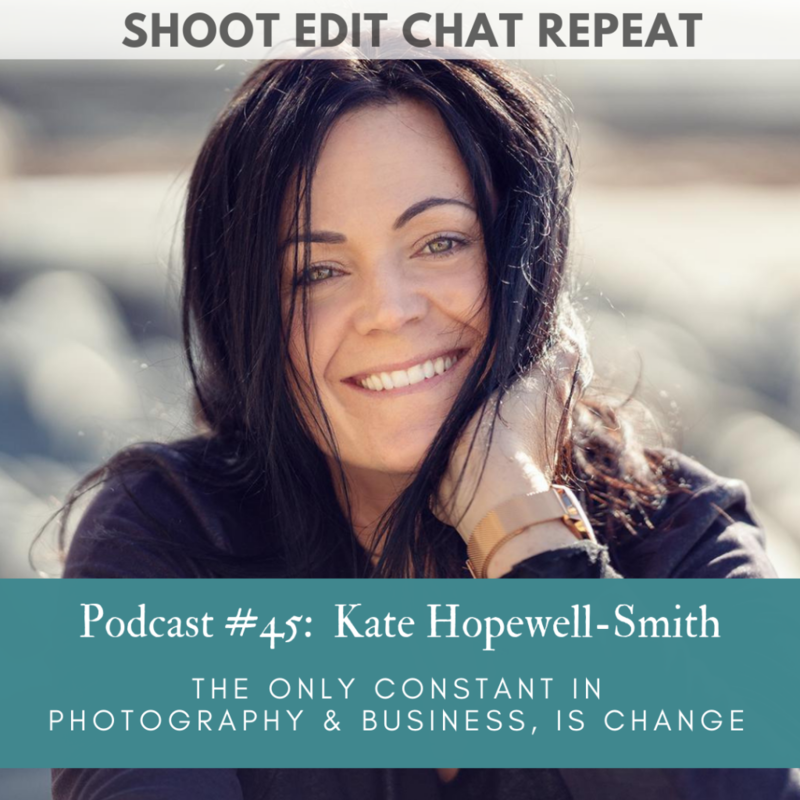 We'd love to know what you think of this episode: Email: hello@shooteditchatrepeat.com Instagram Facebook ​ Vicki Knights' 1 day business workshop in London in Sept 2019 Eddie Judd's Lightroom workshops Thank you to our advertiser in this episode, Harmony and Blue. Find out more about their portrait contracts here.